Saito in charge of Global Unit joined an event “Rwanda Startup Ecosystem Seminar”, where the Rwandan entrepreneurs supported by The ICT Innovation Ecosystem Strengthening Project of JICA introduced their services through presentations, and the attendants and the presenters exchanged cards with each other thereafter. The following Rwandan startups presented their business. Operates an event management service Akokanya. “ako kanya” is a Kinyarwanda expression which means “right away”, and this service provides technology which assists the speedy purchase of event / transport tickets online. Deals with Smart Egg Incubator, an egg incubator with remote accessibility and mobile notifications. 80% or more of chickens and eggs are imported in Rwanda, but there is not enough technical assistance for operating egg incubators locally, and this product tries to solve this problem. 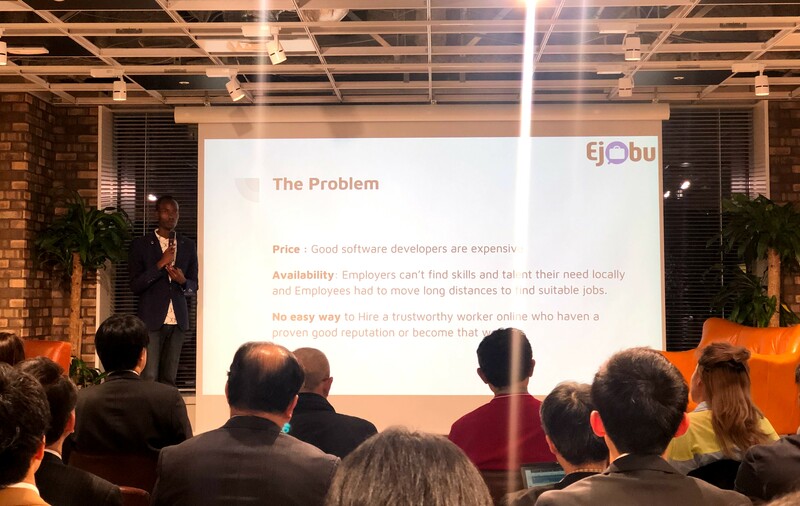 eJobu is an online platform where service providers and employers / clients can find each other, especially for IT industry. 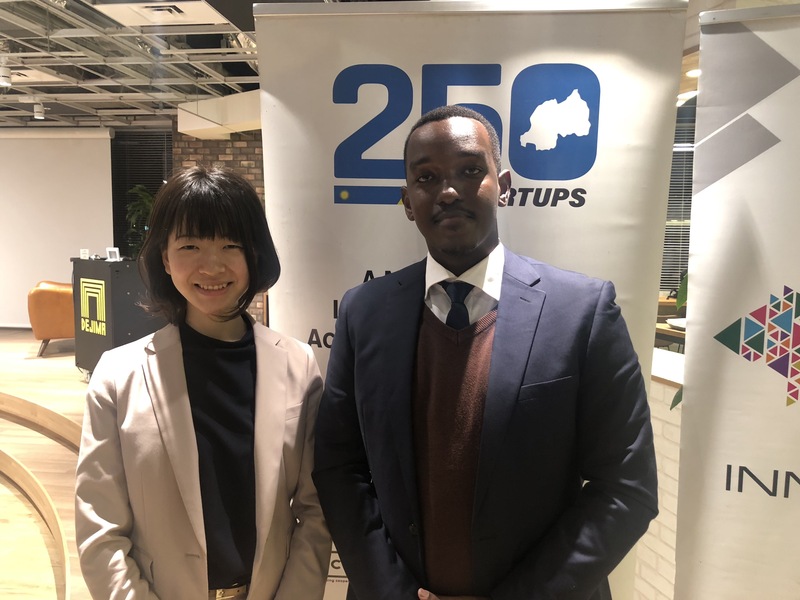 This company tackles the problem that it is hard to hire trustworthy workers online, leading to a high rate of unemployment in Rwanda. Operates AICOS, a database management system. Rwandan agricultural cooperatives used to manage information in paper medium, but this service makes information updating smooth and reduces management cost. The service O'genious Panda realizes better quality of education with online library and virtual labs for simulations of science experiments which can be done on a computer. 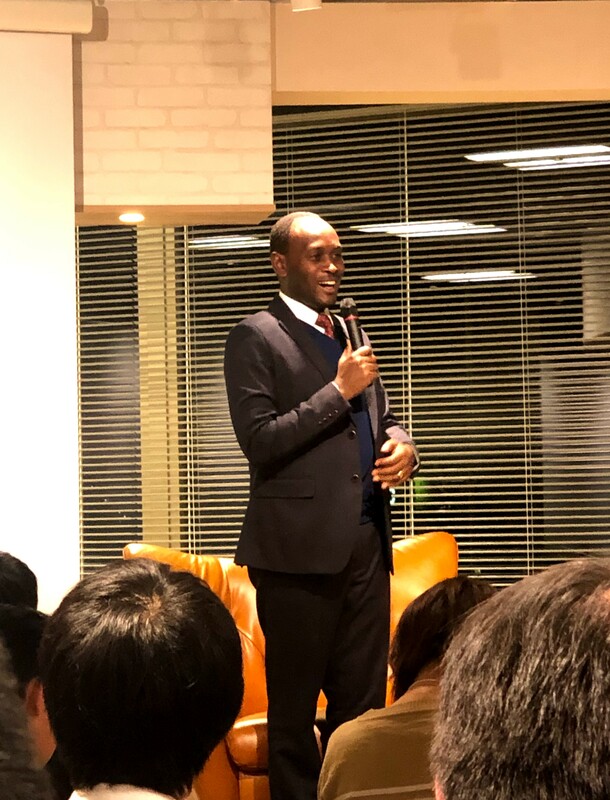 The program was interactive thanks to the attendants positively asking questions after the presentations by the entrepreneurs, who tackle the social problems related to industries and cultures of their own country. Rwandan successful technology startups told us the growth of Rwanda with a national ICT strategy. The former part of the program finished with the closing address by Mr. Jimmy Rutabingwa, vice chairman of Rwanda ICT Chamber. After the closing address, we had a networking opportunity. I introduced myself as DIVE INTO CODE to Mr. Rutabingwa, and he replied with a smile. 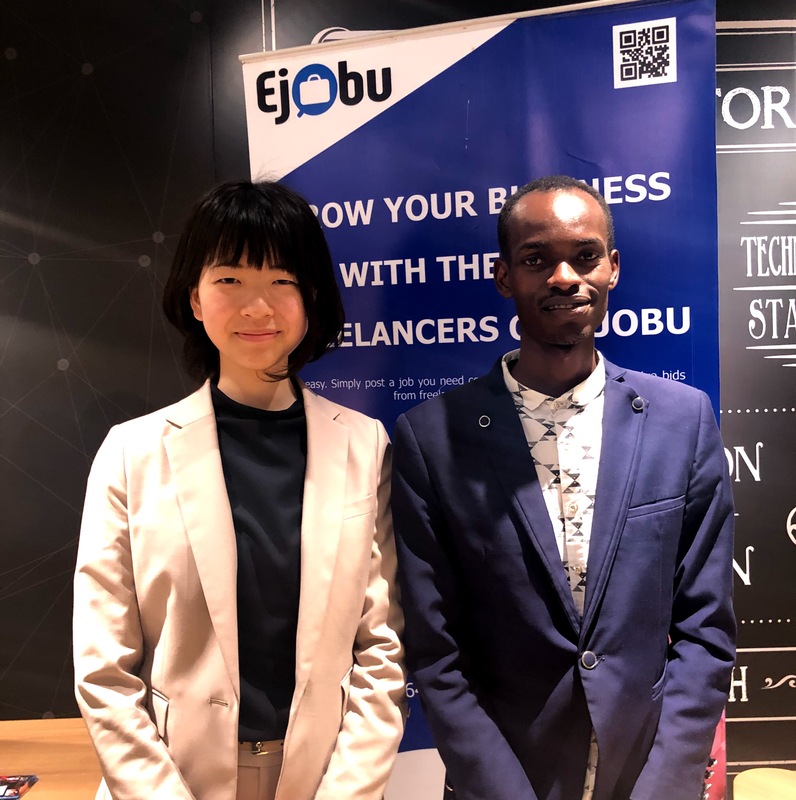 I talked to Mr. TUYIZERE Samuel, CEO of Ejobu, related to employment of software engineers. I told him DIVE INTO CODE trains engineers in Africa, especially Rwanda, and the next step is finding their employment opportunity, and he said he was looking for us! 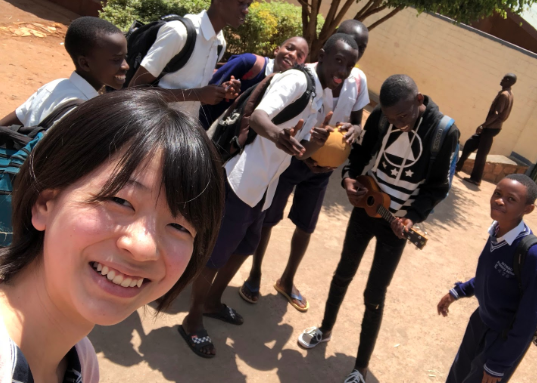 He wants a partner who can train senior software developers and other high-end tech skills so that he can build a huge database of well qualified and well paid freelancers both in Rwanda and Africa. DIVE INTO CODE is a programming school for those who try to become a professional engineer. We have found a wonderful partner who can lead to our future success! 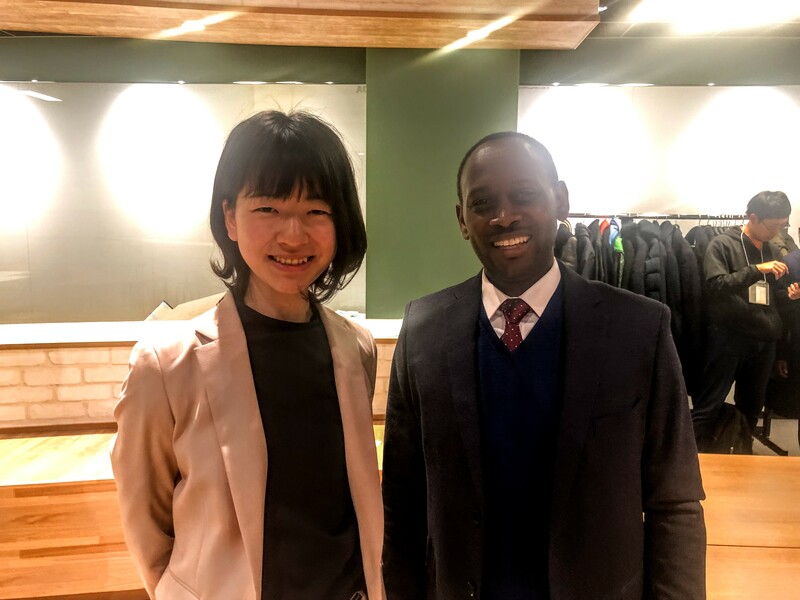 I also greeted Mr. Kalisa Olivier Rinda from Raisin Ltd.
Now we have a chance that our African engineer education can lead to their employment opportunities thanks to the connections with Rwandan technology startups. We keep trying our best for the sake of everybody including our graduates and partners! Majors in English because of interest in English, which connects people all over the world. Learned about the impact of education through the teacher training course. Internship at the department for human resource of international organizations in the Ministry of Foreign Affairs of Japan in August 2017. Through learning about international cooperation, got interested in business for Africa. Intern of Global Unit, DIVE INTO CODE Corp. since October 2017. Translated the curriculum and welcomed ABE Initiative interns.